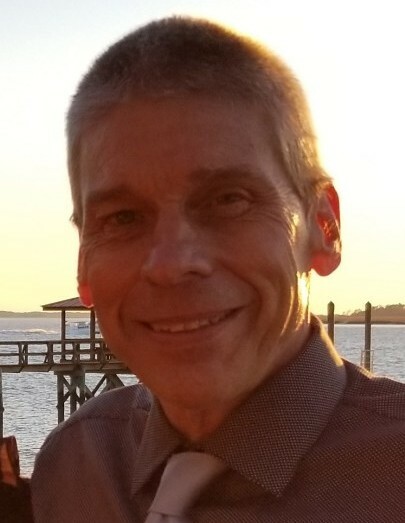 John F. Bedosky, age 63, of Bluffton, SC and formerly of Larksville, PA died Monday, November 26, 2018 at home. Mr. Bedosky was born on January 24, 1955 in Kingston, PA, the son of the late Edward and Lorraine Bedosky. He was a self-employed contractor and owner of John Bedosky Carpentry until his health forced him to retire on September 11th of this year. John enjoyed fishing, cooking, and using his talents as a carpenter to help others. He was an active parishioner of St. Gregory the Great Catholic Church. In addition to his parents, Mr. Bedosky was preceded in death by his brother, Edward Bedosky, Jr. and his granddaughter, Lillia Wallace. He is survived by his loving wife of 40 years, Sandra “Sandy” Bedosky; daughter, Rachael Wallace, her husband, Cory, grandsons, Aiden, Declan, and Paxton; nephew, Brian Bedosky, his wife, Michelle, grandnephew, Jacob; niece, Amie Powers, her husband, Michael, and grandnephews, Nathan and Noah. A funeral service will be held at 4:00 p.m., Friday, November 30, 2018 at Sauls Funeral Home, 90 Simmonsville Road, Bluffton, SC 29910. The family will be receiving friends until 6:00 p.m. following the service. In lieu of flowers, remembrances may be made to the COPD Foundation.